Students score faculty on a scale from 1 (low) to 6 (high). Students score faculty on a scale from 1 (low) to 5 (high). Number 1 students in each class, 2005-2016. 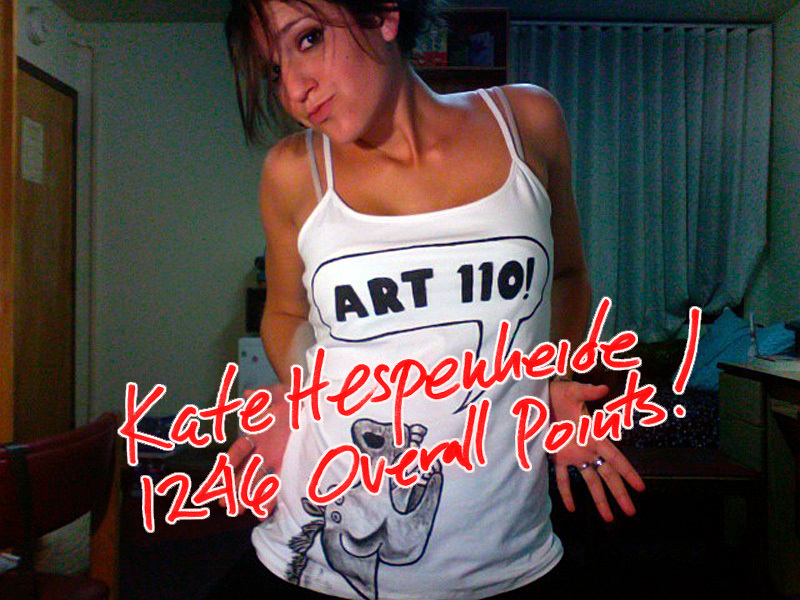 Kate Hespenheide, Freshman, Film & Electronic Arts, #1 Student, Fall 2008.